Are you importing spreadsheets and the Title column constantly goes to the second column and no amount of re-ordering or re-importing will sort it out? 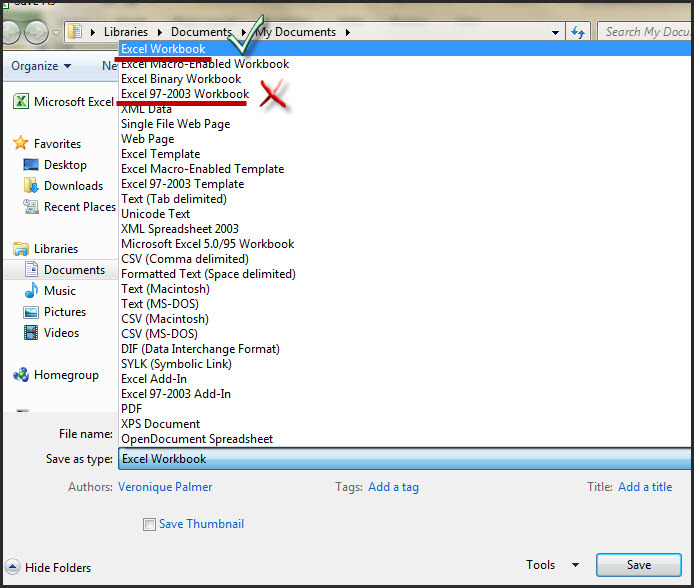 Check what version of Excel you have, and check what version the spreadsheet is being saved as. The spreadsheet needs to be saved in the same version as the software. 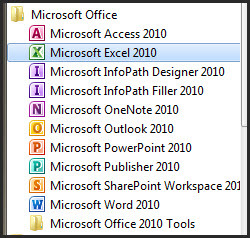 Saving is as a 2007 or 2003 version if you have Office 2010 will cause your Title field to move one column down – for some reason! So save it back to the software’s version and all will be well when you import your spreadsheet. Thanks to Heidi and Nicole from Nedbank who helped figure it out. That’s complete madness. Especially when we never ever had this issue with SharePoint 2007. I haven’t experienced the version you did, but what I also stumbled across, is that it also happens if you try import the whole spreadsheet at once. Sometimes if you just import the first 10 or so rows, it plays nice. Then we use Datasheet View to get the rest in. Stupid as hell, but what can we do till Microsoft sorts it out. I have also had this same issue and found the following to be true. It started when I was trying to import a spreadsheet that had column A containing both first and last name separated by a space. Even though the cells were formatted as Text, no matter what I tried I couldn’t get it to stop using the 4th column as the LinkTitle. While investigating, I heard mention of various possible reasons like length in characters of the cell contents, formatting, etc. I then noticed that the 2nd and 3rd columns were Number and date format. Thus, I figured it was ignoring the first “text” column for some reason, skipping 2 and 3 and finding 4 as the first text column. So… why ignore column 1??? Well, I tried splitting the first and last names into separate columns using “Text to Columns” and voila! It worked! I have concluded that it is the space (and perhaps any other character) that will cause SharePoint to ignore the first or subsequent columns even if formatted as text when they are within the cell(s). If this finding helps anyone… then it was worth all the time spent figuring it out. What I did to work around this was to copy/delete all the data from the first row. 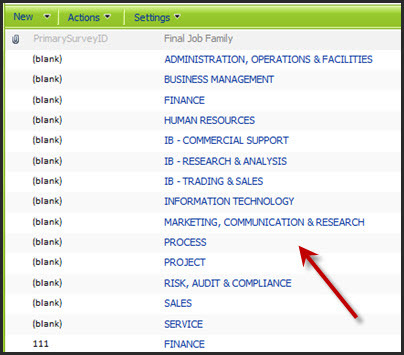 Import the spreadsheet to SharePoint. Open the list in datasheet view and past back all the data and that kept the first column as the title..I still have some hairs left on my head!! Really?? Man, that’s even weirder than the whole problem altogether! I haven’t heard that one before. I’m still seeing it with Office 2010 – today in fact; the 2007 people are ok.
My problem was the character length. Once my character length passed 9 characters the title page moved to the next column that had less than 9..UGhhhhh…Haven’t found a solution to the problem though because my title column is longer than 9. We are getting this in Office 2010 too and we can’t seem to resolve it. I’m starting to think it’s a compatibility issue between Office 2010 and SharePoint 2007. Is that what you’re using too? This didn’t work for me I am having this problem, but the excel files was CREATED in Office 2010??? Well I’ll be! I did have that happen a while back and thought it was most peculiar. If I remember correctly the Title column was coming in empty. I was able to ‘copy down’ the column I wanted and replace all the information in Title to make it work as I wanted, but your discovery now tells me why! 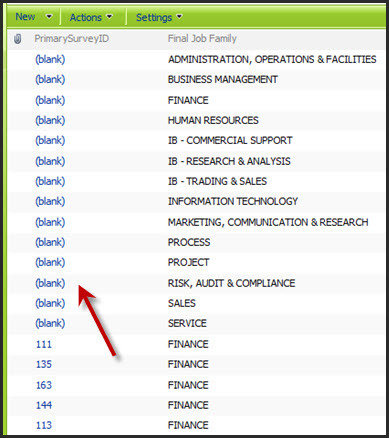 Good to know, as we move to SP2010 and our staff all still have Office 03 (augh!) Thanks V!